Shares in Rio Tinto-controlled Turquoise Hill (TSX, NYSE:TRQ) were hit Tuesday after the miner revealed its massive Oyu Tolgoi copper and gold mine in Mongolia has been handed a $155 million tax bill. The Vancouver-based company said the amount relates to an audit on taxes imposed and paid by the mine operator between 2013 and 2015. Amount relates to an audit on taxes imposed and paid by the mine operator, Oyu Tolgoi LLC, between 2013 and 2015, said Turquoise Hill. “Turquoise Hill is of the firm view that Oyu Tolgoi LLC has paid all taxes and charges required under the Investment Agreement (and reconfirmed in the Underground Mine Development and Financing Plan) and Mongolian law,” Turquoise said in the statement. Shares in the miner were almost 5% down on Tuesday in Toronto at 11:03AM, and had lost 2.7% of their value in the New York exchange by 11:20AM. Situated in the southern Gobi desert of Mongolia, about 550 km south of the capital, Ulaanbaatar, and 80 km north of the border with China, Oyu Tolgoi is jointly owned by the government of Mongolia (34%) and Turquoise Hill (66%), of which Rio Tinto owns 51%. 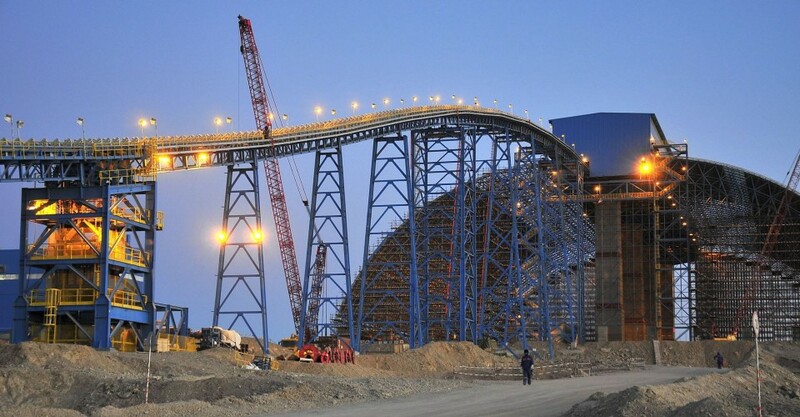 The $6 billion Oyu Tolgoi first-stage open pit mine began producing in 2013, when the project logged a $90 million full-year loss. A planned underground expansion was put on hold shortly after, as the Mongolian government became concerned that cost overruns would cut into profits. The project was resumed in 2016 and, currently, the mine is expected to be world's third-largest copper operation at peak production in 2025, with output of over 550,000 tonnes per year.